We have attempted to cover as much as possible on our Teach English in China – FAQs page. Please consider reading through our FAQ page before contacting us by email with additional questions as we have covered everything you need to know before your interview with Reach To Teach. After you’ve submitted an application with us, we can answer additional questions for you during your interview, and then again during your placement process. Please visit our Job Board for a list of open positions. We update it daily. Salaries vary depending on school and location and are often times commensurate with experience, qualifications and whether you want to take on extra classes or responsibility within your school. Overall, TEFL qualified teachers can expect to receive an average salary that ranges between RMB10,000 and RMB21,000 per month depending on experience and qualifications. Teachers with teaching certifications from their home country and that specialize in AP subjects can expect to earn 25,000RMB+ per month. Are there any special qualifications for teaching in China? In recent years the government in China has passed a law requiring all teachers to have at least two years of work experience after University. You must be between 22 and 55 years of age to receive a proper working Z visa. The Chinese government also requires teachers to have at least a 100-hr TEFL certification. Most provincial governments require teachers to have a 120-hour certification, so it is really in your best interest to add that extra 20 hours to your certificate if possible! Our client schools, especially in Beijing and Shanghai, have been reporting that local authorities are now turning down TEFL certificates that have ‘online’ stamped anywhere on the certificate. It is in your best interest to either choose an online course that does not have a certificate with ‘online hours’ mentioned on it, or do a classroom-based course or a combination course that includes online and classroom hours. 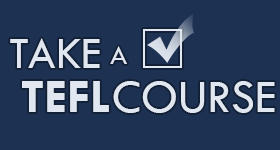 We recommend a number of TEFL courses on our TEFL page. These courses are recommended by the schools that we are affiliated with and the teachers we work with. You are welcome to submit your application at any time. 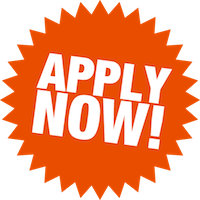 If we feel your application is too early we may wait a few weeks or months before offering you an interview. This will be because the schools aren’t yet sure of their vacancies at the time you are looking to arrive. Don’t worry though ~ we will always keep you updated of your application status and we will make sure there is more than enough time to guide you through the interview, placement, visa and arrival process! You can apply at any time. There is no deadline for applications. Please keep in mind, however, that it takes about 3-4 months to process a Z visa for China. If you are looking to teach in China, it’s really best to apply to us 3-4 months before you are looking to arrive. Yes, absolutely. Your saving potential in China is on par with what you can earn in South Korea, and it’s certainly higher than what you can expect to earn in Taiwan. Furthermore, most China schools these days also offer flight and housing stipends, among other perks. The cost of living in China is considerably lower than the cost of living in the United States or the United Kingdom, for example. Although we will include a more detailed explanation of what the cost of living is in your acceptance packet with Reach to Teach, it’s worth noting that the cost of living varies depending on your location. Rural areas are much less expensive than city areas. I can come to China immediately. How soon can I arrive? It typically takes 3-4 months to go through the placement and visa process before your arrival. You can arrive as soon as we have secured your teaching placement for you. Note that we do not work with schools that hire teachers illegally, thus the process with us might take a little longer, but you can rest assured that you will be teaching legally and that you will be taken care of. Food is as varied as the people in China! Different regions offer different specialties. Szechuan is known for this spicy fare while Shanghai is renowned for their “small eats”, like dumplings or vegetable plates. In addition to the traditional Chinese cuisine, there are some really exotic and tantalizing options from chicken feet to snake. Western restaurants like McDonalds, Burger King, TGIF, and Outback Steakhouse are prevalent all throughout China as well, but be prepared for larger bills when the check arrives! Can I apply for a teaching position if I'm already in China? This depends on what kind of visa you’re on at the time. If you entered China on a Z visa and your residency permit is still valid, your school might be able to negotiate with your current employer without you having to leave China. Your current employer will decide whether or not you will remain affiliated to them on your residence permit. If they decide to switch you over to an L visa at your expense, you’ll need to make a visa run to Hong Kong to apply for a new Z visa. Do I have to teach in the city? Where are most of your client schools? We have schools located throughout China. Common placements include Beijing, Shanghai, Guangzhou, Shenzhen and Ningbo. If you prefer some fresher air, we also have placements in rural areas as well, where the cost of living is considerably lower. Teachers pay for their own flights, but most schools will reimburse the cost of your flight either during your contract or at the end of your contract. This depends on the school you work for. As a rule of thumb, schools that do not reimburse flights will offer you a different benefit elsewhere in your remuneration package. How much are roundtrip flights to China? Round trip flights vary in price depending on distance, time of year and how close to the date of travel you book. Generally, flights can be anywhere between US$600 and US$1,200. Where can I read more about life in China!? We have an excellent country guide for China including important information regarding everything from transportation to culture and history. This is a great jumping off point to learn about your new home and make notes on how you might integrate into life in China. Do I need to be able to speak Chinese to teach English in China? Being about to speak Chinese is not a requirement for teaching English in China. However, there’s no harm in getting started before you go. We’ve got a great list of Mandarin language learning resources on our blog. Where can I find more information about teaching and China in general? 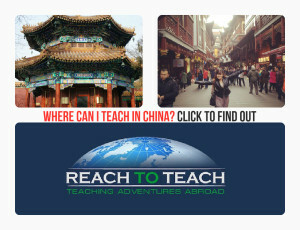 Visit our China resource page for additional information about teaching in China. Here is a checklist to get you started! Prepare your resume, cover letter and recent photo! Your cover letter does not need to be long but it should express your interest in China and the reasons you feel you are the right person for a teaching position. It should also highlight any strong preferences you may have (although we would encourage you to remain flexible if possible). For example, if you wish to only be located in a specific town/city, etc. Your photo should be a recent smiling picture – as we like to see you look friendly and approachable! Check your passport is valid for at least the next year and a half, or longer. If you don’t yet have your University diploma/degree, find out when it will be awarded to you. That date will mark the earliest time you feasibly apply for your China visa. Submit your application! We will guide you from there! Can I teach for less than a year in China? No. The schools that we work with require teachers to commit to a 12-month contract because of the time and expense involved with securing your Z visa and Foreign Expert Certificate. Can I tutor privately outside of my working hours? It depends on the school that you are working for. What is the tax rate in China? Taxes vary from province to province in China and usually reflect your salary. A higher salary equates to a higher tax rate. Generally the tax rate varies between 5% and 10%. Great question! This is a very common concern for teachers who are teaching English abroad in China. So common in fact, that we have dedicated an entire page to answer just this question. Please follow this link to find out more about paying your taxes as a US citizen abroad. Does my school offer sick leave? This varies from school to school. Do I have to get a medical check in my home country or in China? What are my teaching hours? Reach To Teach is partnered with private schools and public schools, however, the majority of our positions are in the private sector. Your teaching hours will be predominantly on weekends with some afternoon and evening classes during the week. It is not uncommon for teachers to teach from 9am to 5pm on Saturday and Sunday, and then have a few hours on weekday evenings throughout the week. Our schools offer two consecutive days off. Reach To Teach also offers public school positions, which offer a regular Monday through Friday work week. These schools typically offer contracts out in January and in August. Before signing a contract, it is very important to review your own personal situation and understand you are making a promise to students and a school that you are committed to work for them for the entire year. If unavoidable circumstances occur you will need to address the situation. As always, the more professional and understanding you are in the handling of the matter, the better the outcome will be. When contracts are broken it is very normal to forfeit elements of a contract (for example reimbursed flights, bonuses, etc). In addition to national holidays and a week for Chinese New Year (sometime in January or February), vacation time will vary from school to school. Vacation time is usually several weeks per year. This depends on the school you are working with. While some schools outside larger cities offer housing, most schools in the larger cities do not. However, the school will always ensure you find appropriate housing to match your salary and you will never be homeless! Apartments are typically clean and modern and are often times within walking distance to the school! Some schools offer shared accommodation with another teacher at your school, while others offer private accommodation. Your placement manager will discuss this with you before you decide to accept a teaching position. Can I apply for my visa before I have secured a teaching placement? No, the school will need to act as sponsor for your visa and therefore you will need to have secured a teaching placement prior to getting your visa. Once you have accepted a job offer, your school will send you a formal invitation to work in China. This document is supplied by the government, and once you have it in your possession, it will form part of your application at your local Chinese consular office for a working Z visa. The process usually takes several weeks. Once you have your visa, you’re free to leave for China. Your Z visa is generally only valid for 30 days, starting from the day your passport is stamped at a port of entry in China. Teachers are generally responsible for the cost of their visa. Once you arrive in China, your visa will be converted to a Residency Permit which allows you to live in China. You’ll also be expected to take a full medical examination. What kind of Chinese visas are there? How long is my Chinese visa good for? Once you have entered China, your visa is good for 30 days. Some visas will allow you to stay in China for up to 60-90 days. If your visa allows this, your visa will be clearly marked with this information. Is the China visa process complicated? No. But you will need to plan ahead and follow the steps carefully. You will be guided through the entire process. Which documents should I prepare for applying for my Chinese visa? A valid passport. Your passport should be valid for another 6-12 months. If you are not entering China on a Z visa, you will need a planned itinerary of your stay in China and photocopy of your onward ticket. 1. Prepare your CV, cover letter and recent photo! Your CV must include month/year start and end dates for all of your employment positions as well as for your education information. 2. Your cover letter does not need to be long but it should express your interest in China and the reasons you feel you are the right person for a teaching position. It should also highlight any strong preferences you may have (although we would encourage you to remain flexible if possible). For example, if you wish to only be located in a specific town/city, etc. Your photo should be a recent smiling picture – as we like to see you look friendly and approachable! 3. Check your passport is valid for at least the next year and a half, or longer. 4. If you don’t yet have your University diploma/degree, find out when it will be awarded to you. That date will mark the earliest time you feasibly apply for your China visa. 5. Submit your application! We will guide you from there! How can I stay healthy in China? Do not drink tap water in China. Drink boiled or bottled water only. Eat completely cooked food only. It’s best to avoid eating at local street carts and food vendors in China. Don’t swim in rivers or lakes. Most of our schools provide some form of health insurance. If you need to see a doctor at any time, call your school’s Foreign Affairs Officer. Your school will likely have medical insurance that bears a small cost to teachers, but your employer should pick up 80% of the bill. The hospitals and medical systems in major cities in China are usually very good. However, we would still recommend looking into purchasing additional health insurance from your home country that provides international coverage and evacuation insurance. Reach To Teach teachers generally use World Nomads Travel Insurance. Yes, your school will assist you in opening a bank account. A valid passport and a deposit of 100RMB is generally required to open an account. The most popular banks for foreigners are: Agricultural Bank of China, Bank of China, China Construction Bank, and Industrial and Commercial Bank of China. Can I use traveler's cheques in China? Traveler’s cheques can be cashed at major banks in China, but you will likely have to wait several weeks to receive the funds. Traveler’s cheques are not accepted anywhere else in China as a form of payment. It’s best not to bring them.